Fitness Blog Fix your Sweet cravings with minimal calories! Fix your Sweet cravings with minimal calories! One of the biggest challenges i faced personally when i decided to start living the healthy lifestyle i do today was my nutrition. Knowing what to eat, when to eat, portion sizes, choosing the healthier options etc. One of my biggest downfalls was my sweet tooth i inherited from my mum and her side of the family. I could go all day eating well and get to the evening when i would sit down and watch a movie and my cravings for something sweet would be driving me insane! i think this comes growing up in a home where we would always sit and have ‘tea and biscuits’ in the evening when we were watching TV. I knew that this was a hurdle i really needed to overcome, remove or ….. replace. Well, i know i had to find something that would kill the sweet cravings, satisfy my hunger and was low alot lower in calories than ice cream, biscuits or chocolate. So after trying a variety of different things ranging from yogurts, low calorie biscuits etc until i stumbled on …. Diet Jelly, yes diet jelly . 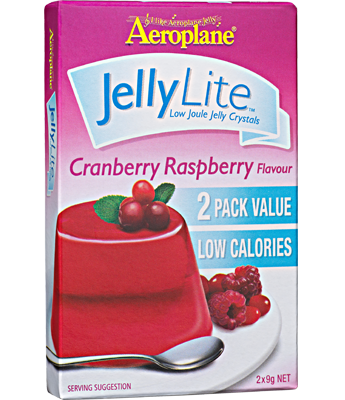 Aeroplane make a diet jelly available in 11 great flavours , including lime, strawberry, pineapple and vanilla berry and the best thing is it works out at only 7calories per serving, so even if you used both packs that come in the box and made up a full 1 litre jug it would still be only 56 calories!! with zero sugar!!! so carb free!!!! weight watchers also do a diet jelly range. So what i started doing was making a full jug up and leaving it in the fridge. Don’t make the mistake of waiting til you feel like it otherwise the 4 hour setting time will have you raiding the cupboard for everythig else in the meantime. 10 weeks working out with Al and I’ve reached a level of fitness, and weight, that I haven’t had for at least 15 years. Al is a terrific trainer who takes the time to understand your personal goals and works hard to help you achieve them. If you want a healthier lifestyle but don’t know where to start, I suggest you talk to Al.